In a boat, embark on a cruise at the time of the aperitif, enhanced with a card of wines and local products. In a friendly atmosphere, enjoy the "most beautiful river in France" (François I), lined with craziness and other magnificent mansions, let yourself go to the particular magic of the atmosphere, to the sound of the surrounding nature. The “Bateau Ouch” boat has just had a makeover! 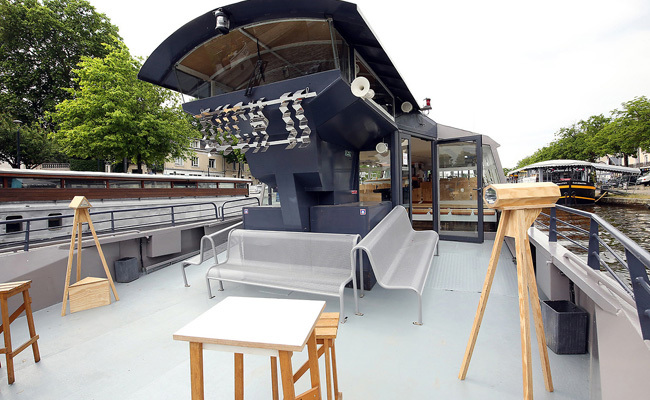 For cocktail hour, Les Bateaux Nantais is offering up a new experience of this fun cruise. 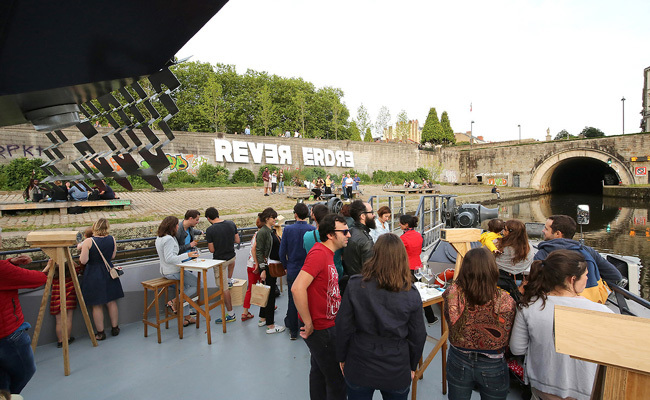 The boat has been transformed into a house of mirrors for a brand-new experience in sound and vision, floating down the Saint-Félix tunnel, then gently upriver past L’île de Versailles. Glasses and kaleidoscopes are provided, offering a fragmented view of the banks along the Erdre River. And, you can’t have a cocktail cruise without local food specialties – both solid and liquid – in partnership with the association, Les Vignes de Nantes. ATTENTION, because of the level of water that prevents navigation in the Saint Félix Tunnel, the place of embarkation will be transferred Quai de la Motte Rouge, Nantes Fluvial Station. This cruise is accessible to people in wheelchairs (except electric wheelchair), thank you to contact our advisors to ensure availability and to know the terms of access.